As a groundbreaking leader in technology, ABB offers an extensive range of premium quality Motor Control and Circuit Protection devices. As your trusted supplier, Powertech Controls stocks a large inventory of ABB Low Voltage products. Also, as an added convenience same day shipping is available for most of our products. ABB Drives is one of the leading Variable Frequency Drive brands on the market today. They also have an extensive product offering on both AC and DC drives. ABB’s robust offering allows their Drives to provide the correct speed control for practically any application. In addition, Powertech Controls experienced staff has extensive knowledge with ABB’s variable frequency drives. We have the capabilities to help you find the correct ABB Drives solution for your project needs. Powertech Controls is a premier distributor of high quality electrical and electronic automation controls and components for the global market. Powertech’s friendly, knowledgeable staff is committed to providing attentive service, forming customer and vendor based strategic partnerships, and continually improving our operations. 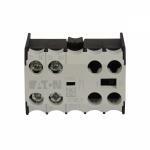 If you can’t find the ABB products that you’re looking for Powertech Controls can help. Contact us for more information on our line of ABB electrical products, or request a quote today.